The storybook Christmas season begins at Newstead Abbey this week with an enchanting programme of traditional celebrations and entertainment for the whole family. Rooms in this magnificent historic house will sparkle with Christmas lights and be decorated with trees, floral displays and garlands. There will be a chance to sample some traditional Christmas fayre too. Each weekend in December, ‘A Fairytale Christmas’ at Newstead Abbey offers a magical storybook experience for under tens, created in a number of special rooms which will have a storybook theme. Children will be able to search for Cinderella’s slipper, and look for the Beast’s rose as well as Grumpy’s chair. Grown-ups may also be keen to visit the Cloisters on 1 and 2 December and 8 and 9 December for a range of craft stalls and a chance to pick that unique Christmas gift. 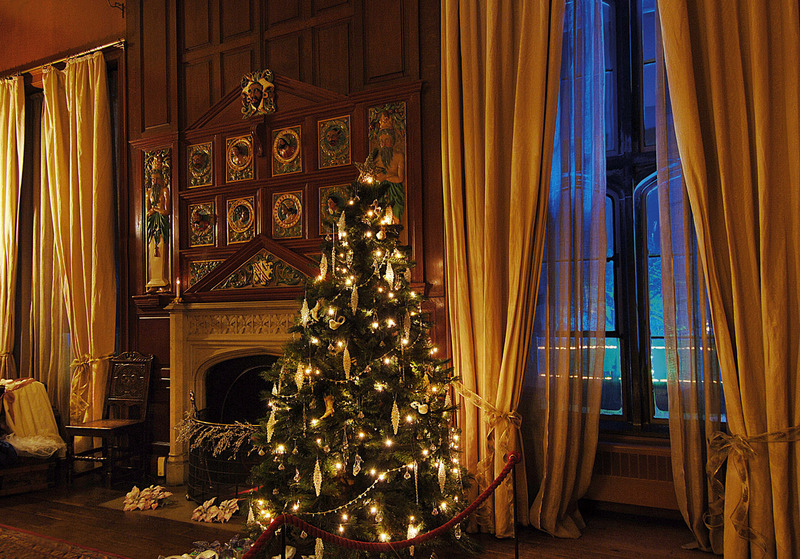 On each Friday in December, visitors can enjoy a Christmas at Newstead Abbey House tour. There will tours at 12 noon and 2pm. Entry to the hall is £12 which covers these activities, as well as parking. Under tens go free. The hall is open 12pm and 4pm. with last admission at 3pm. To add to the little one’s excitement, they can visit Santa in his Grotto in the Courtyard on Saturdays and Sundays until 23 December. This is a great chance to make sure Santa knows what their Christmas wishes are and to collect a special present. These visits must be pre-booked in time slots between 11am – 2.30pm. The cost is £6 per child. Other fun on site includes a fun star trail. For a small entry fee of £1, the whole family can explore the grounds and gardens with the challenge of finding all the stars hidden around the site. Those lucky enough to find the special blue star can claim a prize at the end! Why not round the day off with a Christmas Afternoon Tea in the splendid Victorian Kitchen decorated for Christmas? Enjoy the usual cakes, sandwiches and refreshments with seasonal twists including mince pies and turkey and cranberry sandwiches*. This needs to be pre-booked with adults tickets costing £15 and children £7.50. Afternoon teas are available on December 1,2,8,9,15,16,22,23 between 12 noon – 3.30pm. Cllr Dave Trimble, Portfolio Holder for Leisure and Localities, said: “I would urge anybody who hasn’t visited Newstead Abbey to take a trip up the A60 and a wonderful day out awaits. Even if you have been before, it is even more amazing at this time of year with beautiful decorations and a really traditional Christmas feel.